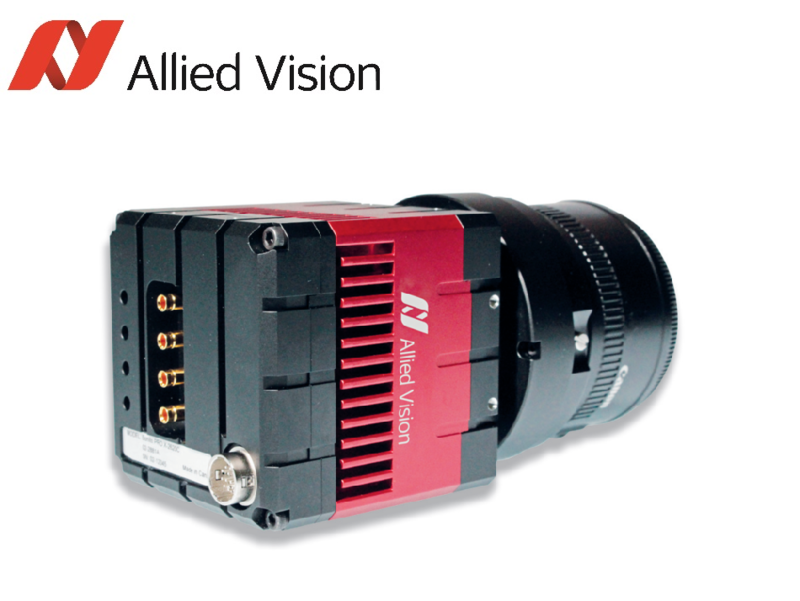 Allied Vision expands its product portfolio by the Bonito PRO camera series enabling high-resolution imaging at high frame rates via its 4 x CXP-6 ports. Stadtroda, June 6, 2017 – Allied Vision introduces a new camera family and enters the high-speed camera market: The Bonito PRO CoaXPress camera is perfectly suited for high-bandwidth applications. It will be presented to the public for the first time at the Image Sensing Show in Yokohama, Japan, from June 7 to June 9, 2017 (at the booth of Allied Vision's partner AproLink Corporation, Booth no. 63, Pacifico Yokohama, Hall D). Allied Vision’s new high-bandwidth camera series is equipped with 4 x CXP-6 ports enabling bit rates of 25 Gbit/s over four coaxial cables with a maximum communication distance of 68 meters. The first two Bonito PRO series models support the latest high-resolution ON Semi PYTHON CMOS sensors with 26.2 Megapixel and 12.5 Megapixel resolutions. Customers can choose between monochrome and color sensors, as well as an NIR sensor option with enhanced near infrared sensitivity. The combination of ON Semi PYTHON CMOS sensors with the Bonito PRO’s rugged, fan-less housing design, and its comprehensive feature set make these cameras an ideal choice for high-definition imaging applications demanding high throughput, robustness, and design-in flexibility. Bonito PRO cameras are available with F-mount lens adapter as the standard version. Optional EF-mount including focus and iris control, as well as M58 and M42 mount are available to accommodate a wide range of lenses for individual flexibility. The cameras can be operated at an extended ambient operating temperature range (-5°C to +50°C), offer Power over CoaXPress (PoCXP), and an advanced feature set with e.g. sequencer mode, multiple Region of Interest (ROI), Fixed Pattern Noise Correction (FPNC), Defect Pixel Correction (DPC), binning, decimation, look-up tables, gamma, and color correction. The two new series models Bonito PRO X-2620 and Bonito PRO X-1250 will be available from Q3/2017.